A 2 bedroom self-contained unit, on the ground floor includes sleeping for 6 people and a modern kitchen with every cooking requirement. Off street parking with lots of space to walk or sit on your own deck and relax. 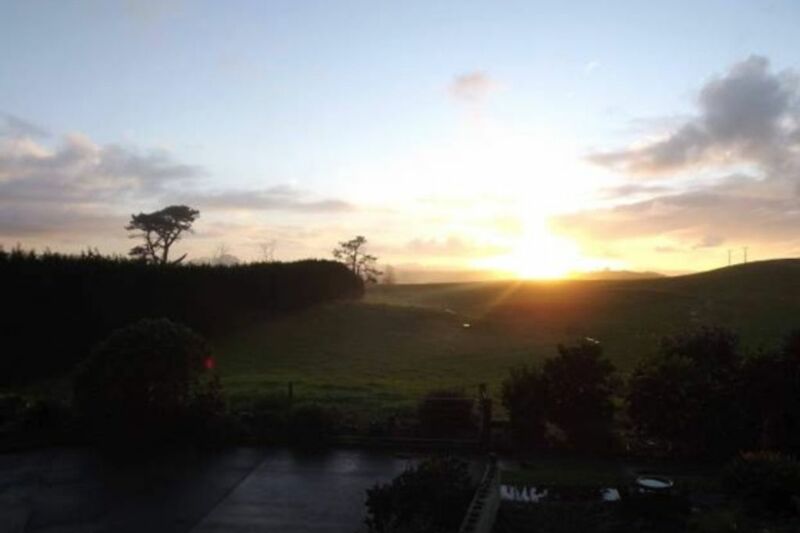 Located 2.5 hrs north of Auckland Airport. We are only 8km north of Dargaville, and then 4 minutes to Baylys Beach. Kai Iwi Lakes is 20 minutes away for a swim. Waipoua Forest and the mighty Tane Mahuta is only a 40 minute drive, with Opononi being just a day trip away. The unit is spacious and families are welcome or if you just want some space to unwind and relax. Two bedroom unit - B1: one Queen bed B2: one Queen bed and bunks that can easily be dropped to be two singles still leaving ample space in the room. There is a open lounge / kitchen / dining area and separate bathroom. You are free to take a stroll up to the top dam through the avocado orchard where there is a picnic table and enjoy the beautiful sunsets or sit outside in your own private deck area and enjoy a relaxing BBQ and or a drink or two. The property is 8 acres of avocadoe trees and rolling paddocks. It is private and a relaxing place to stay. there is plenty of parking for trailers and bikes. Great stay, had everything we needed and good beds. Wayne and Pauline were great hosts. Would recommend their place. Both Wayne and Pauline provided an accommodation that feels like a home away from home. They were very accommodative in providing a handrail and chair for someone who is in a wheelchair. Their avocado farm is a nice walk through. The closeness to Baylys Beach was a real bonus which means we could get there within 5 minutes. Very easy to book with very good communication. Great quiet location, clean and tidy with good facilities and plenty of space Would definitely stay again. Ripiro Beach, the longest beach in New Zealand, driveable in a 4WD at low tide. Ripiro Beach/Baylys Beach is claimed to be the longest driveable beach in the country from Pouto Lighthouse at the north head of Kaipara Harbour in the south, to Maunganui Bluff in the north. Off-roading in 4WDs makes for a great adventure along the black-sand beaches. Don't attempt it with front-wheel-drive vehicles though. Surfcasting and surfing are pastimes you are likely to see while visiting the area. People are known to swim here, but take the utmost care as west coast beaches are notorious for underwater rips. Visit New Zealand's largest known living kauri tree, Tāne Mahuta on this short, easy walk suitable for buggies and children. ... This short walk leads you under cooling shade of the forest canopy to the majestic Tāne Mahuta, New Zealand's largest living kauri tree. Maunganui Bluff Walk track. This coastal and forest track offers magnificent views of the Tasman surf on Northland’s west coast, north of Dargaville. The track leads up Maunganui Bluff through rare coastal forest and across farmland, offering spectacular views over the ocean and Ripiro Beach. Kai-iwi Lakes. Named the Sparkling Jewels of the North, Kai Iwi Lakes are the largest dune lakes in New Zealand offering spectacular scenery and lots of activities for outdoor lovers. There is virtually no evidence of commercialisation at the lakes - don't forget to bring your own supplies and equipment!